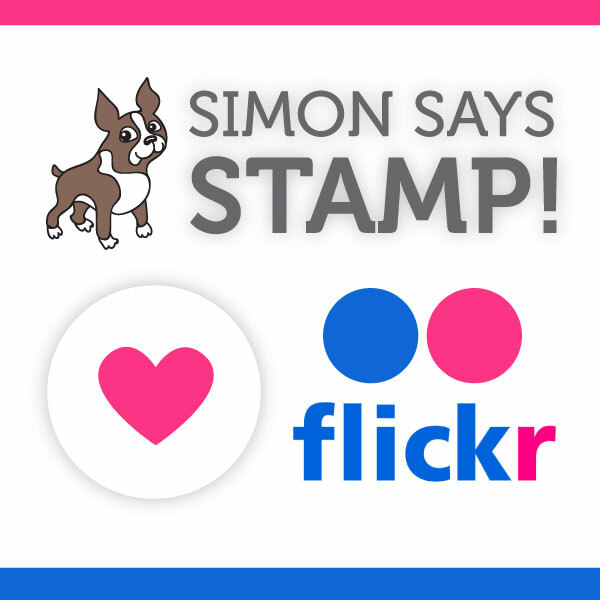 I created this card for the Simon Says Stamp Flickr Group Challenge #25: White on White with a Touch of Color. I immediately thought of Winter cards for this color scheme. I applied some Tumbled Glass Distress Ink with a foam applicator for a little contrast in the background for the snowflakes. I then added sequins and Wink of Stella sparkly ink around the snowflakes for a bit more frost. Finally, I layered the white “stitched” piece onto a white card. I really enjoyed making this card! Maybe it is because our normally mild Pacific Northwest weather was in the 90s once again today! Thanks for stopping by. 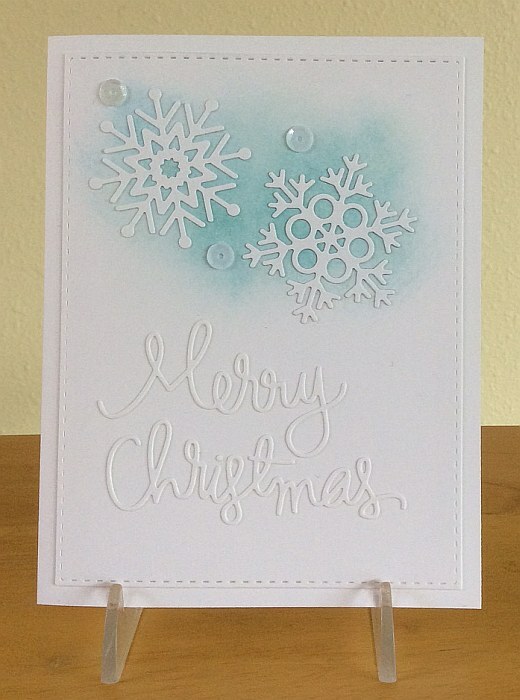 This entry was posted on Thursday, August 20th, 2015 at 9:11 am	and tagged with cardmaking, die cuts, distress techniques, Simon Says Stamp and posted in Challenges, Christmas, Clean & Simple, Simon Says Stamp, Winter. You can follow any responses to this entry through the RSS 2.0 feed. Beautiful card, love the white with a touch of blue.